Before a website visitor is comfortable to make a purchase, subscribe to your newsletter, or even click on a page they will look for signs that your website is trustworthy..
A website must give people confidence in you, your business, and your products or services. A trustworthy website addresses these 5 critical website trust factors. 1. Does it look updated and professional? People judge a book by it’s cover. Your website should be attractive and fresh, if it looks like it’s been neglected or shouts DIY people aren’t going to think you care about the business or may even question it still exists! Keep content up to date with the latest trends and information. If you display dates on blog posts, blog often. If your latest post is marked Nov 2011, people will assume you’ve lost interest in your business not just your blog. If your blogs are sporadic it’s ok to leave the dates off. Keep your copyright year updated. Nothings says “this website hasn’t been updated since 2006” like saying it in the footer. 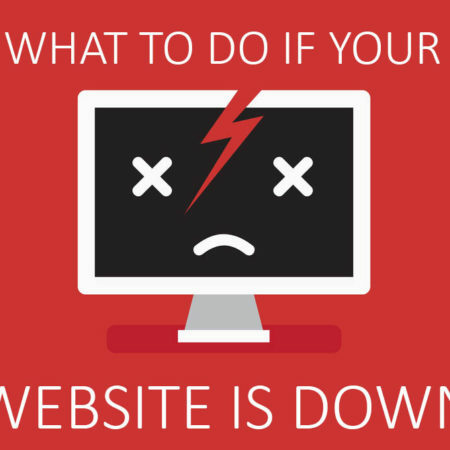 Test your website regularly to ensure it’s in working order. 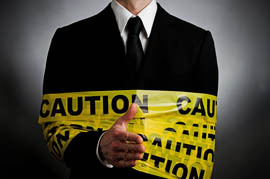 Broken links and forms that don’t work will strip your credibility. Pop-ups, auto playing videos and too many ads are ways to show you don’t really care about the user. Don’t use them unless you want to annoy website visitors. If there are spelling and grammar mistakes in your content people will expect that in your products and services as well. If your website is built with WordPress there is no excuse. Any business can rapidly improve website conversion rates with some professional help with WordPress. 2. Who are you and how do I get in touch? Tells customers who you are, people don’t trust anonymous websites. As the saying goes, people buy from people they know, like and trust. Use an about page to tell your story so people can get to know you, if not a full page at least a “about us” section in the sidebar. Use photos of real people, you and your staff not stock photography. Having multiple points of contact gives people confidence they can contact you via the channel they prefer, and that they will be able to contact you! As an absolute minimum, your address and phone number should be on all pages, and a simple contact form linked in your main menu. If you work from home but don’t want your home address displayed use a PO Box, not as effective but far better than nothing. 3. Can you answer all my questions in my language? Using the same language as your customers helps them relate to you and gives them confidence you understand their needs. Make sure there is enough information to assess and compare your products and services. Show pricing, why would people bother to call you when they can compare 3 other businesses that display their pricing. Consider adding a basic or starter package with a price displayed. Detailed product descriptions and images give people confidence in the product they are buying. What happens if I’m not happy with your service? People want to know in advance before making a purchase, so give them clear terms & conditions. If I give you my email for that ebook download what will you do with my email address? Will you rent it, share it, sell it, spam people? Take credit card payments? Prove to me it’s safe with security seals & certificates. What are your shipping options? A simple shipping stratergy will be easy to understand and may even be a compedative advantage. Communicating how you helped other customers is referred to as social proof. Nobody cares if you tell them you’re the best, they want to know what other people think! Use testimonials. Everywhere. 73% of consumers say positive customer reviews make them trust a business more*, and this is magnified if you have many reviews by real people. More information suggests a more authentic review so include photos, full names, what they do, and their employer or business where possible. Use case studies to prove the benefits real clients or customers received with your products and services makes you more trustworthy. Has someone recommended you on twitter or facebook? Are you actively engaging with people on Social media? Show it on your website with Social media widgets. Here’s how to use Twitter and WordPress for social proof. Display customer logos, especially if you have recognisable brands on board. If you have an impressive number of customers, say it ie “500 happy customers and rising!”. Have 8,000 facebook fans? Display it. If a large number of people follow your social media accounts it implies you’re an authority in your niche. Sorry to the social media purists, but numbers do sometimes matter, especially for first impressions. Having said that, you need to back it up with interaction! Link to external websites that reference your organisation. If your local newspaper or a leading blog in your niche has written about you, link to those stories to build your authority by association. Backup claims by listing sources of third-party evidence and statistics. Maintain a blog or a latest news section. This shows your site is constantly updated and provides free information to prove your expertise. Having every example of trust elements mentioned here will clutter up your business website. You don’t need all of them, but you do need to show signs from each of the 5 website trust factors if you expect people to buy or contact you. Have something to add to the list? Let us know in the comments below.